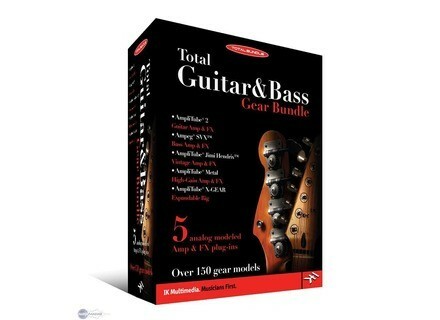 Total Guitar & Bass Gear Bundle, Software Amp Simulator from IK Multimedia. IK Multimedia announces the release of the Total Guitar & Bass Gear Bundle, IK’s definitive collection of “Powered by AmpliTube” products with 5 analog-modeled Amp and FX plug-ins: AmpliTube® 2, Ampeg® SVX, AmpliTube Jimi Hendrix™, AmpliTube Metal and AmpliTube X-GEAR. Aimed at giving musicians and producers convenient access to a wide range of guitar and bass amp and FX models in both live or studio situations, this bundle includes 51 stompboxes, 26 Preamp and EQ models, 11 Power amps, 33 cabinets, 11 mics and 23 rack effects, for a total of over 150 gear models. Thanks to AmpliTube X-GEAR, all the included “Powered by AmpliTube” products can be opened together in a single software/plug-in environment, so that users can mix and match elements from all of the included gear models to build their own custom rig. All softwares can be controlled with IK's (separately available) StompIO USB floor controller/audio interface, and also feature built-in MIDI control of all software parameters, allowing you to use any traditional MIDI controller with easy set up thanks to the included MIDI learn feature. For a limited time, the Total Guitar & Bass Gear Bundle is introduced at a special launch price of $599.99/€449.99 for the full version, and $499.99/€379.99 for the crossgrade version (for registered users of any full or lite version IK product). 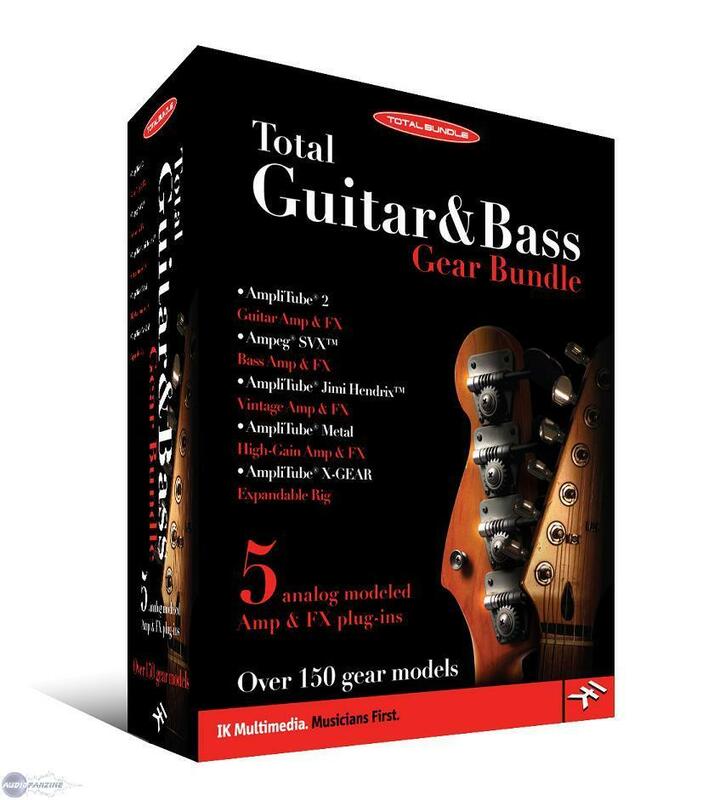 The Total Guitar & Bass Gear Bundle is now available for purchase from the IK Multimedia online store and through IK’s global dealer and distributor network. Blue Cat's Protector Blue Cat Audio announces the release of the Blue Cat's Protector plugin, a stereo brickwall limiter. Edirol UA-25EX Edirol Debuts UA-25EX 2-Channel USB Audio/MIDI Interface. Crysonic Sindo V2 Crysonic has announced the release of SINDO V2, a major update to its hybrid stereo image expander (widener) / Narrower adding new features, a new GUI and Mac OS X support (VST and AU).